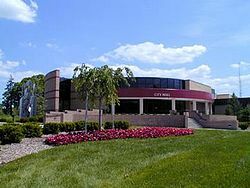 Located in Macomb County in Michigan, Sterling Heights is a great city to live in. It ranks A+ in terms of amenities – groceries, coffee shops, public transits, and fitness gyms. Sterling Heights MI has a population of 132,427 as of 2016. The main language spoken is English. Searching for Gutter Repair Sterling Heights MI services? 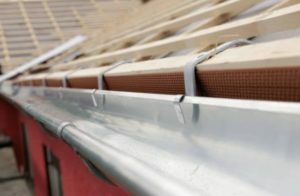 If you live in the city, one of the services you’ll seek is gutter repair. No matter how reliable your gutters are, exposure to the changing Michigan weather leads to deterioration. Do you notice these signs of gutter damage? Miller’s Home Improvement is a gutter repair Sterling Heights MI contractor. Our local presence means that we are readily accessible, prompt, and registered. Get in touch and we’ll conduct an on-site inspection. Inspections are imperative as it helps us determine whether everything is working properly. We don’t just check the gutter material itself; we look for other associated signs outside and inside your home. For example, flooding in the basement and mold growth. Vinyl gutters, copper gutters, aluminum gutters… Miller’s Home Improvement fixes all gutter materials. Speak with our experts if you have questions about our techniques or need more information. Our company carries over 30 years of experience in roofing. What are your best reasons to choose our local company? Our contractors specialize in gutters. 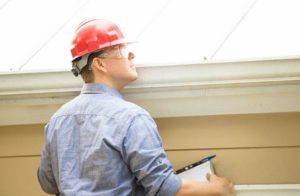 It would be risky to attempt a gutter repair on your own. We adhere to the best practices and handle any kind of gutter problem, big or small. You get a written estimate that outlines everything involved in the work to be performed. We are transparent with our gutter repair methods, materials, and time frame. We back our work with warranties so that you benefit from performing gutters for many years.